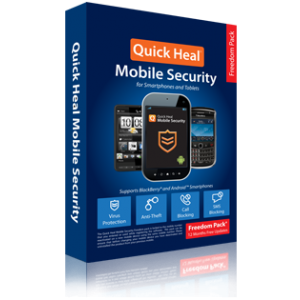 Quick Heal offers specialized security solutions designed for personal use on individual machines for home users. These products combine high performance with exceptional ease of use and outstanding design. We at Comprompt Solutions provide Quick Heal Antivirus Installation, Quick Heal Antivirus Implementation, Quick Heal Antivirus Troubleshooting, Quick Heal Antivirus Maintenance, Quick Heal Antivirus Remote Support, Quick Heal Antivirus Service, Quick Heal Antivirus RMA, Quick Heal Antivirus Replacement, Quick Heal Antivirus Update and Quick Heal Antivirus Upgrade. We are Mumbai based Quick Heal Dealer. We offer best suitable product and solution With best prices for your Home, Business,Enterprise.To know more about our antivirus solutions contact us. Running your web browser in a browser sandbox gives you an uninterrupted and secure browsing experience. Acting like a screen between your PC’s operating system and the malicious threats it limits the attack surface. Scans and cleans mobile phones, Smartphones and PDA’s from your PC. 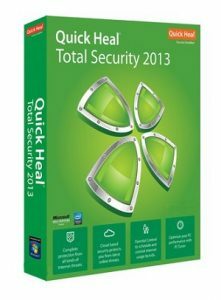 Multi-layered protection for your PC through AntiVirus, AntiSpyware, AntiMalware, AntiRootkit, Silent Firewall and IDS/IPS. Real-time cloud-based security protection restricts access to malware infected, fraudulent and phishing websites. Prevents threats transferred through websites hosting malicious codes as you surf the Internet. Running your web browser in Sandbox Browser gives you an uninterrupted and secure browsing experience. Acting like a screen between your PC’s operating system and the malicious threats, it limits the attack surface. Helps detect any malicious object on your device and counter it. A regular scan helps in keeping your device safe from unseen threats. This feature enables you to block unwanted calls by creating a ‘Black List’ of numbers. Get extensive information of reports, data on blocked threats, updates etc. Blocks access to fraudulent websites that might phish your valuable information. Enable Parental Control to keep a tab on the mobile browsing activities of your children or others using your device. Helps you track, lock or remotely render the mobile device useless in case of a loss or theft. You can also wipe selected data remotely by sending a predefined SMS. Filter unwanted SMSs and block spam SMSs from unknown senders and easily configure Black list and White list. Take a backup of your personal information such as contact numbers, text messages and calendar on the cloud and retrieve it whenever required. Takes automatic virus definition updates so that your device remains secure from real-time threats. Assured protection from all kinds of malware threats. Automatic real-time virus and spyware scans with optional manual scan. Gives you the flexibility to use your mobile device without interruptions while scans run in the background. With this feature you can silently block unwanted SMSs. It also scans and filters embedded links in messages. Get extensive reports for all the above features. Synchronization with Active Directory – Easy and hassle free deployment with full active directory integration and synchronization support. Disk Imaging – Creation of a disk image of Endpoint Security 5.0 client and deployment of it across the network. Client Packager – Creation of client installer for manual set up. Notify Install – Installation via email notification (containing URL) for endpoint client installation. Prevents threats from the use of unauthorized devices and media (DVDs, CDs and USB devices). Allows policies to be set to give read only or complete access to USB devices and block DVDs/CDs. This robust feature also prevents data leak by making USB devices accessible only on systems within the organization’s network. Provides a range of graphical and tabular reports, which can also be exported and saved in a variety of formats (e.g. PDF, CSV). Reporting can be scheduled according to the requirements. Automatic emails of reports can be sent to specific email addresses. Controls and configures various device types for Windows and Mac platforms. Robust and flexible management options safeguard against unverified devices. Stops data leakage by regulating transfer channels such as removable drives, network sharing, web apps and online services. Specific file types can be monitored and comprehensive reports can be scrutinized. Provides a bird’s eye view of all actions against confidential files to safeguard confidential company data. When a specified file is copied, renamed or deleted, a notification is sent to the administrator. Gives administrators comprehensive knowledge about the hardware and software configuration of every endpoint. Notifications are sent to configured email addresses whenever any alteration to the hardware on any system takes place. The updated graphical dashboard provides a hub to monitor overall network health, security status and compliance degree. Gives clear visibility and control with comprehensive reports so that critical actions can be taken. Provides an instant glimpse into product license history. Administrators can gather details such as license activation, reactivation, license renewal and additional feature pack details. Seamlessly redirects specific endpoint groups/clients to different servers. Enterprises with large numbers of endpoints, or low bandwidth, can easily migrate clients to a new server. Advanced defense mechanism to detect and prevent malicious network activity that attempts to exploit software vulnerabilities of applications. Port scan attack prevention blocks intruder attempts aimed at open ports. DDoS attack prevention thwarts any Distributed Denial of Service (DDoS) attacks that might result in the denial of service. Blocks unauthorized access to business network. Allows customization rules to be set to Low, Medium or High based on observed network traffic. Administrators can also configure exceptions for specific IP addresses or ports to be allowed or blocked. Disk Imaging – Creation of a disk image of Endpoint Security 6.0 client and deployment of it across the network. Client Packager – Creation of client installer for manual setup. Notify Install – Installation via email notification (containing URL) for endpoint clients. Blocks malware infected, phishing and malicious websites from affecting the endpoint clients within the network. Allows the blocking of particular categories of websites (e.g. Social Networking, Games, etc.) or individual user-specified websites to limit web access and increase productivity. Categories of applications can be either authorized or unauthorized from being executed within the network. This feature also gives the flexibility to add custom applications to an existing blocked list. This feature scans all the networked computers for viruses and malware from a central location. Customizable scans can also be scheduled for a specific date or time. Different user groups within the network can be defined and flexible policies can be set accordingly. Effectively scans your end user inboxes for spam, phishing attacks and unsolicited email messages. Allows whitelists or blacklists and self-learning to be set up separately for each user or group. This feature allows multiple update managers to be deployed across the network. This helps in load balancing and in avoiding network congestion as is usually the case for a single update manager. This feature sends notifications to preconfigured email addresses and phone numbers, thus alerting them about critical network events. This feature enhances the performance of computer systems in the network by cleaning junk files and deleting invalid registry/disk entries. Tuneups can also be scheduled for a specific date and time. Gives the ability to drill down from high level to more in-depth reports. Provides a range of graphical and tabular reports, which can also be exported and saved in a variety of formats (e.g. PDF, CSV). Reporting can also be scheduled according to specific requirements. This feature scans known vulnerabilities of installed applications and operating systems in the network. It helps frame security measures against known vulnerabilities and protects against security breaches by threat agents. Sends notifications regarding unpatched operating systems working on computers within the network. Control, Web Security, Update Status, Virus Detected & Application Control on Dashboard. Now Quick Heal client has it’s own unique GUID. directory. It gets sync with Active directory container like user & groups. We can exclude clients to be installed by ip address or ip address range also. own inbound & outbound rules. We work on TCP/UDP /ICMP protocols & supports IP V4. In device control, we support only USB removable drive ( Not mass storage like external HDD). We need to register each & every pen drive to access & accordingly we can apply policy like read & read-write. Suppose if pen drive is not registered, then it won’t get detected. We have introduced device encryption feature, which will encrypt data in removable drive. To decrypt data, user need to connect pen drive to the Quick Heal’s EPS client. We have introduced centralized web content filtering. In this feature we haven’t provided internet access scheduling feature like stand alone. We have introduced centralized application control feature, which works on online protection. We have categorized applications & we can add applications as per administrator requirement. We have introduced IDS/IPS. At client side we get enable/disable option for IDS/IPS. In 600 mili seconds, if 6 or more ports are scanned on particular system, then ip address of attacker will get blocked. In 600 mili seconds, if particular system’s service is flooded by 256 or more ip address, then 257th ip & next to 257th ip addresses will be blocked. Added centralized tune up in EPS. For tune-up, user must be logged in. In Tune-up,we have DISK Cleaner/REGISTRY Cleaner & Defragment. Recycle Bin & empty folder is not included in Disk Cleanup. There is no backup. Added Anti malware centralized. Only critical threat will be cleaned. Update manager is service based. Update manager will take updates even not logged in. We can install standalone multiple update manager & clients will take updates from applied update manager but if that update manager system gets down, then client will take updates from another update manager as per priority set. Update schedule option is given at client side & it works on 24 hours basis. We need to configure EMAIL notification. It will send mail on every day 8.00 AM. Reports can be found for 180 days. It can be exported in to CVS & PDF format. Detects new and unknown viruses. Detects and cleans viruses, worms, Trojans and all kinds of malware. The improved technology also scans file and archive attachments (ZIP, ARJ, GZIP, RAR, TAR, CAB etc). Allows you to schedule on-demand scanning for all or specific user mailboxes and public folders. This can also be performed for mailbox and store attachments that violate corporate policy. Saves time and reduces workload by prompting an automatic scan of mail stores after every successful update. Intelligent technology carries out real-time scans for spam messages and attachments. Automatically blocks malicious emails like IFRAME Exploit emails. Personal and global black lists and white lists can be maintained to restrict email communication from senders that are known to be malicious. Allows flexible and easy management via web-based console that gives system administrators quick response time and consolidated event status. Remote administration allows companies to react to threats in real time as soon as they arise. The dashboard is easily accessible and its simple interface allows the administrator to view various indicators simultaneously. In case there are any threats detected, this is informed to the administrator via highly visible alerts. Timely and detailed reports can be obtained in the format and at the frequency desired. Administrative settings for the application can be configured based on prevalent company IT policies and regulations. 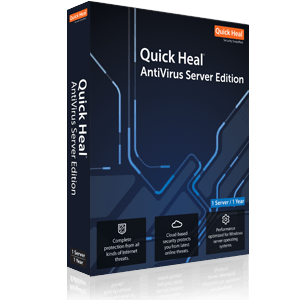 The robust virus scanning engine of Quick Heal Exchange Protection detects viruses and other infections. For improved virus identification, scanning may be initiated at any of the following three levels: Real Time Scan, Hub Transport Scan, and Edge Transport Scan. This feature provides the facility to set AntiSpam rules for all inbound and outbound emails. Rules can be set as per the requirement or according to the types of spam emails received. Filters emails based on various criteria such as sender or sender’s domain, keywords in the subject line, file type and file name and words or phrases in the body text. This results in an effective identification and filtering of every suspicious email. Defining a scan schedule allows mailboxes and public folders to be scanned automatically at the programmed time. Multiple schedules can be defined so that the scanning is initiated at your convenience. Additionally, your mailbox can be scanned manually through a Store Scan. The intuitive software notifies the administrators regularly on virus infections and policy breaches in the emails. Notifications are alerts on important system events such as license expiry, change of password and so on, so that appropriate actions can be taken on time to avoid any mishap. This feature provides an in depth view of all actions and events taken by the software. It also provides the option to save and download reports for future reference and analysis. Quarantine folder stores emails which breach any policy for e.g. virus and spam email detections or any content filtering criteria being met. The advanced scan engine resolves all compatibility and detection problems with its more powerful and scalable technology, regardless of the system the virus is stored in or made for. Powerful spam filters ensure that fewer spam emails get through the email system. This helps prevent businesses from zero-day spam attacks and outbursts. Personal and Global black lists and white lists can be maintained to restrict or allow email communication from senders that are known to be either malicious or genuine. These lists can be incorporated either on server-wide basis or to machines on individual basis. Outgoing and incoming attachments are persistently scanned to detect any prevalent threats or files that could violate copyright policies or lead to data theft or company liability. Details significant to the attachment size, nature and content are scanned actively. 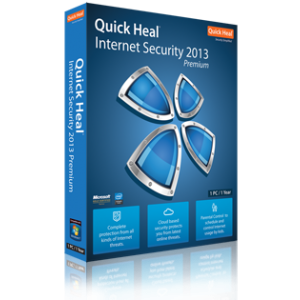 Quick Heal Mail Protection can be configured to upgrade the scan engine automatically. Web-based user interface makes configuration and monitoring of the protection from any platform workstation. Allows users to set up personal blacklists and whitelists and manage their own quarantined items. Designed to be a mail agent independent product for the Windows range of mail servers, the security solution is simple to install and easy to use. Personal and Global black lists and white lists can be maintained to restrict or allow email communication from senders that are known to be either malicious or genuine. Web-based user interface makes configuration and monitoring of the protection from any platform workstation. Simple to install and easy to use. 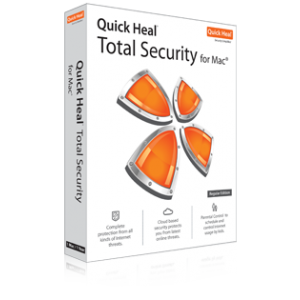 Quick Heal Mail Protection for Linux can be easily integrated with popular Linux-based Mail Transfer Agents (MTAs) like Sendmail, Qmail, Postfix, Exim, PostMaster etc. The dashboard provides a unified platform for threat reports and notifications. These reports can be customized extensively based on past incidents to inform system administrators as well as document owners about active threats. The inbuilt GUI and Command Line scanners hunt archives and packed files for possible threats. They also detect and remove polymorphic viruses. GUI Scanner – Easily configurable from user interface (GUI). 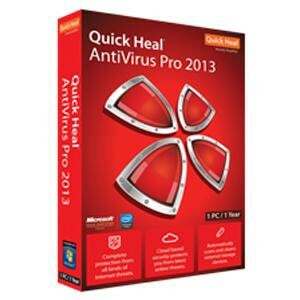 You can also configure to update Quick Heal Antivirus automatically using GUI Scanner. It can also scan files using the dumb method. Command Line Scanner – Configure the feature to systematically scan for viruses and set appropriate action items using various commands. However, it is important to ensure that you have selected logical commands even in commands like ‘Delete’. In case files are not repairable, they will be deleted using this combination. Therefore, it is recommended to keep a backup of your data before initiating scan. Detects and automatically cleans thousands of viruses, worms, backdoor, Trojans, spyware, adware, riskware, dialers, jokes and DDOS tools.